Just to recall Oppo F3 smartphone was launched in India for Rs 19,990 in the month of May this year. The handset will be available for the same price on Flipkart and in all offline stores across India. 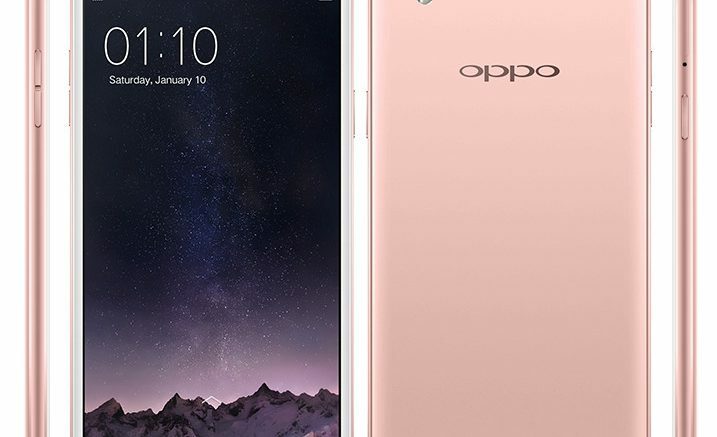 Commenting on the launch of the Rose Gold variant of OPPO F3, Will Yang, Brand Director, OPPO India said, “By launching the OPPO F3 Rose Gold Version, we aim to offer our Indian consumer an outstanding confluence of fashion and technology where exquisite design meets innovative camera technology. We have received a tremendous response for OPPO F3, especially from the younger audience. So, we decided to surprise them with a fashionable and trendier variant of the OPPO F3.” So consumers looking for some extra vibe can now go for this color. Interestingly, the smartphone is deemed to come in a Red Edition as well. The company has already sent out teasers and has said that the new color variant will be coming soon. However, the rest of the specifications and features of the smartphone remains the same. Oppo F3 comes with a 5.5-inch Full HD (1920 x 1080) display with 2.5D curved glass and Corning Glass 5 protection. The device is powered by an octa-core MediaTek MT6750T processor which is paired with Mali T86-MP2. The phone offers 4GB of RAM and 64GB of internal storage, which can be expanded up to 128GB via microSD card slot. The Oppo F3 which is a camera centric smartphone comes with a dual front camera setup. The sensors include a 16-megapixel primary sensor and an 8-megapixel secondary sensor with 120-degree wide-angle view for group selfies. The camera app has a built-in Smart Facial Recognition feature that notifies users to switch to ‘Group Selfie’ mode if there are more than three people in the frame. At the rear, the smartphone sports a 13-megapixel shooter with Dual PDAF, flash and full HD 1080p video recording. The device is backed by a 3200mAh non-removable battery and it runs on Android 6.0 Marshmallow with company’s ColorUI 3.0 on top. Connectivity options include 4G VoLTE, Wi-Fi 802.11 a/b/g/n/ac, Bluetooth 4.1, GPS and Hybrid Dual SIM (Nano + Nano), 3.5mm audio jack, and Micro-USB. There is a fingerprint scanner at the front as well. The phone measures 153.3 x 75.2 x 7.3mm and weighs about 153 grams. Be the first to comment on "Oppo F3: Rose Gold color variant launched in India,Available in Flipkart and offline stores"